"Zumar" redirects here. For the sura of the Qur'an, see Az-Zumar. 1 2 "ISIS takes over Iraq's biggest dam". English.alarabiya.net. Retrieved 16 October 2014. 1 2 "Sunni Extremists in Iraq Seize 3 Towns From Kurds and Threaten Major Dam". The New York Times. Retrieved 16 October 2014. 1 2 "Kurdish forces retake north Iraqi town from Islamic State". Reuters. ↑ "Jihadists kill dozens as Iraq fighting rages". English.alarabiya.net. Retrieved 16 October 2014. ↑ "Peshmerga, IS Battle for Zumar". Rudaw. Retrieved 16 October 2014. ↑ "92 IS Militants Killed in Zumar". Archived from the original on October 6, 2014. Retrieved September 9, 2014. ↑ "BBC News - France launches first air strikes on IS in Iraq". BBC News. Retrieved 16 October 2014. 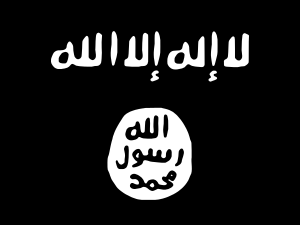 ↑ "First French Airstrike Destroys Depot of ISIS in Irag". English.alarabiya.net. Retrieved 16 October 2014. ↑ "ISIL pounded as Iraqi and Kurd forces advance". Al Jazeera. October 25, 2014. ↑ Sypher, Ford (2 September 2015). "Are American Troops Already Fighting on the Front Lines in Iraq?". The Daily Beast. United States. Retrieved 6 March 2015.